A new Huawei phone will be made official this month. According to a teaser image released by the Chinese company, the Honor V9 will be unveiled on February 21, a week before this year's Mobile World Congress (MWC). The device, in case you missed, has already cleared TENAA. The listing revealed that it's powered by an SoC with octa-core 2.4GHz processor and sports a 5.7-inch QHD display. RAM options include 4GB and 6GB, while storage options include 64GB and 128GB. In terms of camera, the Honor V9 features a dual rear camera setup of 12MP+2MP, and an 8MP front shooter. Measuring 157×77.5×6.97mm and weighing in at 184g, the handset runs Android Nougat and packs in a 3,900mAh battery. There's also a fingerprint sensor on the back. Surely the camera should be better than Honor 8' camera. 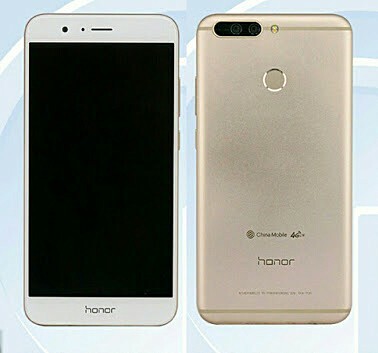 I am sure the price will be bigger than honor 8' price. This could be $500 and over but around $450 - $500 will be better.